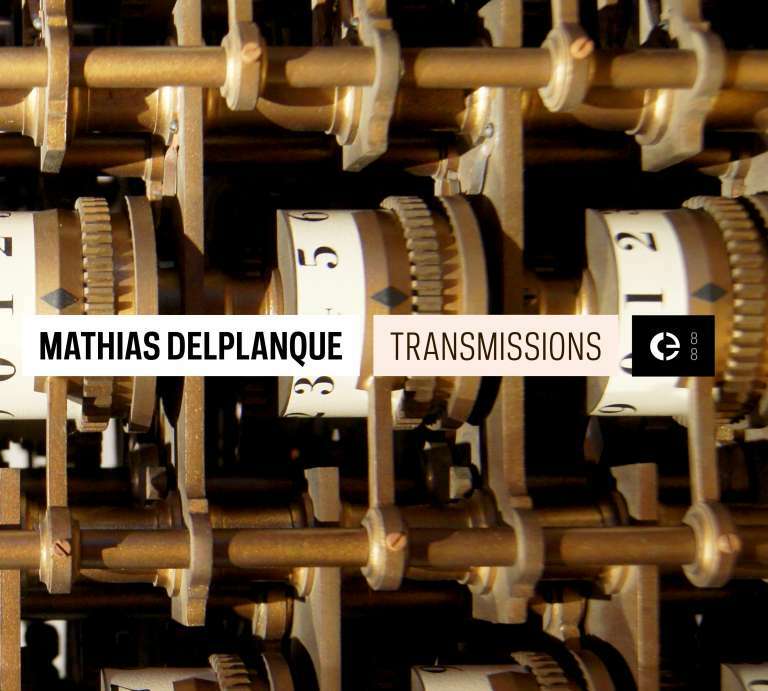 Transmissions is a series of compositions based on recordings of sounds produced by various industrial machines. Parts 1 and 2 are based on loom sounds recorded by Mathias Delplanque in 2008 at the Musée du Textile of Cholet (France). Part 3 and 4 are based on machine-tools sounds recorded by students at the Lycée Technique Livet (Nantes, France) in 2009 and 2010, in the shape of a workshop conducted by Mathias Delplanque. Mathias Delplanque (born in Ouagadougou, Burkina Faso in 1973) is a composer, a performer, a music critic, an author of sound installation and the founding member of several musical ensembles. He lives and works in Nantes (France). His work as a composer started in 1998 as he graduated from the Fine Arts school and decided to put an end to his sculpture activity to turn towards sound creation. He since released several records and collaborated with musicians from various points of the musical spectrum (Rob Mazurek, Steve Argüelles, Myra Melford, Shahzad Ismaïly, Ghislain Poirier, Julien Jacob, Daniel Givens, Black Sifichi…). His installation works are frequently shown in galleries and art centers, and he regularly performs on stage, solo or accompanied by other musicians. Mathias’s sound work takes on several main lines and develops through different identities: Lena, Stensil, Bidlo, The Floating Roots Orchestra… or Mathias Delplanque — his own name being just another heteronym. All these projects form a complex ensemble in which every new element is a response to other previous propositions (a track Inside an album becoming the point of departure for another album, the same track being approached differently on separate projects etc…). The works done under his own name all directly deal with the question of the relation between space and music — «Ma chambre quand je n’y suis pas» (My bedroom when I’m away), «L’Inondation» (The Flood), «La Plinthe» (The Baseboard), «Sol» (Ground), «Le Pavillon Témoin» (The Show House)… Whether developed on records, performances or installations, whether strictly based on field recordings or containing instrumental parts, these works all question the relation between the sound and its space, between the music and its place. Written & produced by Mathias Delplanque between 2008 and 2014. Mathias Delplanque would like to thank Miguel Carvalhais and the Crónica Electrónica team, Aude Leguennec from the Musée du Textile of Cholet, Jeanmichel Jagot from Arty Events, Gilbert Plouhinec and Claude Briantais from the Lycée Livet, Mélanie Legrand from Stereolux, the students of the Lycée Livet, without whom this album wouldn’t have been possible.